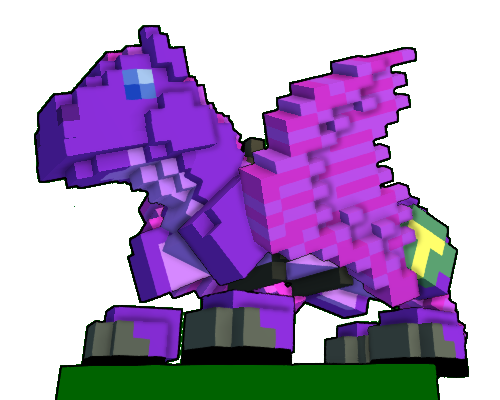 For my first real mod I've turned a dragon into a pony. This replaces the Ancient Dragon set (no ally). I used the Ancient Dragon as it was the only one I didn't really like to use as is and I've already got mods on the others. Yes, it still breathes fire and blasts. 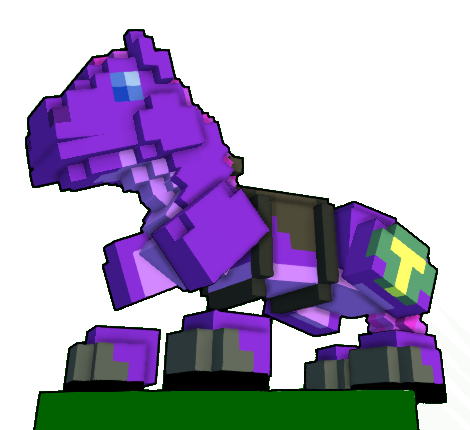 I uploaded two versions to Trovesaurus: Version 1 is the full set with stretching neck. Version 2 doesn't have the stretching neck, but changes the stages to compensate. Download them here. If you have any issues, please let me know. ----- It seems I need to use a shared footprint file name, thus changing several dragon's footprints. - Find a way to keep the head more attached when falling (looks fine jumping and gliding, just not falling). I may be limited by the frame, although there is a piece I've hidden that might be able to be used. ----- Hidden body piece clips through but is tolerable. - Find a way to fold the wings in half. This is probably limited by the frame. ----- The frame's connecting points make this not possible as far as I can tell. I can make it look good folded, but in flight it's all spaced out and broken. - Upload to Trovesaurus so others can enjoy! Not what I was expecting, looks nice! I dug in to the VFX editing for the hoof-prints. It seems that it expects and will only work with one texture file name. Unfortunately, that file is shared among a few of the dragons, thus changing them all to horseshoes. So I'll probably just leave that off. As for messing around with getting the head to look right while falling - so much clipping to deal with when not falling. EDIT: I tried recreating the body piece I hid, but it just clips through way too much when on ground and especially when running. I even tried making that body piece the head. 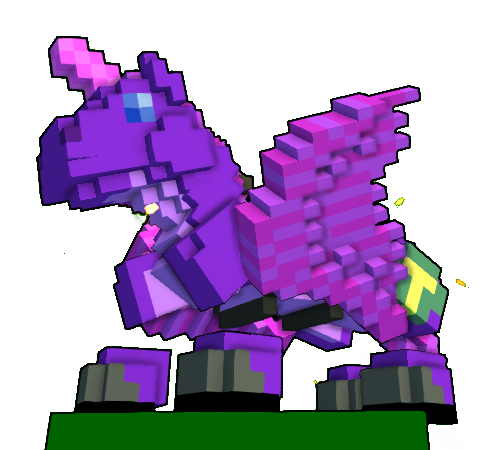 For that I had to make the legendary head just the horn. The head stayed attached and looked great in all motions, but as the legendary version the horn just moved too much and wouldn't stay attached. There's just too many independently moving pieces. Right now I'm debating just putting the horn all the time, as I'd use just the legendary version all the time anyway. Although, I like the total package quite a bit. Help out AlecoX or Zetane! 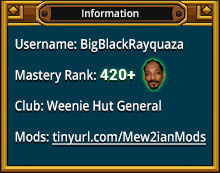 Use this code: "7GZJDE7YR7HGM7NXW6DM" or "DFNTMZKJHX2YT9L3YMTC" in this page! This is super cute. Adorable. 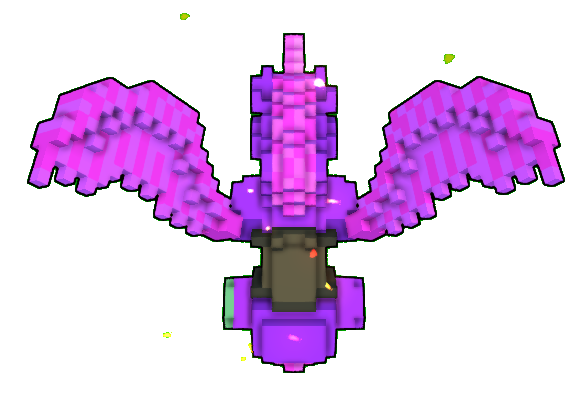 Maybe the devs can be convinced to attach wings to a (flying) horse model.